In the age of Apple Music / Spotify / streaming, sometimes it’s hard to figure out what to do with all your “old” music. Or, worse yet, you’ve lost a lot of your old stuff and are trying to figure out how to make sense of it all. Hopefully this can help that. We’ll put all the streaming services on the shelf for the time being since we’re mainly focused on your own music that you control / own. Let’s start first with your music. This is stuff you ripped from old CD’s or *gasp* downloaded “from the Internet” back in the day. Regardless of how you got the music, you could have thousands of MP3s that are just sort of sitting there now. For many, they are not even sure where they are, but they want to keep them. The first thing to understand is where all your music files are physically at. 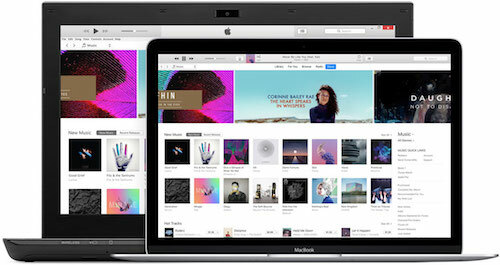 iTunes is the way Apple organizes and plays your music. You’ll find an iTunes folder (usually under your Music folder) on your laptop/desktop. Notice I didn’t say iPhone or iPad? That’s because managing all your music is done through an actual computer, whether desktop or laptop. This is not even restricted to a Mac. There is an iTunes application for PC as well. So, if you go to Finder > Music you should see an iTunes folder. Within that folder you’ll see a folder called iTunes Media which is where all your music, movies, etc. are stored. Head over there and take a look. If you find that something is missing in your iTunes library, the trick is to import it. Sounds simple, right? It is. In iTunes, go to File > Add to Library. It will then ask you to pick where the file(s) are located. For some, you might have an external hard drive with all your old music, just select the entire hard drive (TIP: you don’t actually have to select all the individual files unless you only want specific songs to come in). For others, you might have a folder on your computer, just select that folder. iTunes will take care of the rest. Let iTunes finish its work. Then you can go back to Finder > iTunes > iTunes Media > Music and double-check the newly added music is there (if you want) or just look through your iTunes Music Library and make sure your music is now in there. iTunes will keep your music organized for you. So now in theory you have all your music in your iTunes. As a side note, it helps to take some time and clean up your music. Sometimes there’s a typo on a song title so it shows up in the wrong order. Sometimes the genres are all messed up or the album name is incorrect. I found in some down time waiting at doctor’s offices or on a plane ride I was able to go through my library and get things all cleaned up. Depending on the size of your library this could take some time, but it’s worth the effort in the long run. If you select a song or group of songs, just Control+click the song (or right-click depending on how you have your settings) and you’ll see a “Get Info” option. Open that up and fix whatever you like. Next up, we’ll discuss how to backup all your music and how to get your music to play nice across all devices. Stay tuned!